Breakfast in Beijing, lunch in London, dinner in Denver. The world has never been smaller, and working people can find themselves flying here and there on a regular basis for business. Of course, thanks to advanced video technology, intercontinental meetings can take place online, but some things are simply done better in person. Moreover, conducting business via a video link is no panacea; the further away the person you are meeting with, the greater the difference in time zones, which means you could be conducting a (very) late night meeting, at times more than once a week, to conform to their business hours. 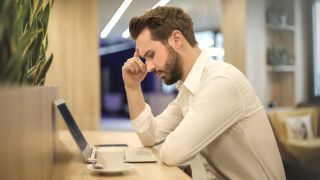 Of all the health detriments that modern business travel entails – eating unhealthy foods, sitting in a tight space for hours on end, breathing the often stale and dry air – diminished quality or insufficient sleep may have the most pronounced and immediate negative effect. According to Harvard Medical School experts, missing even one night of sleep can harm judgment, memory and decision-making ability, which means that a well-rested disputant for the other side could have the upper hand in a negotiating session. Will better technology solve our sleep sorrows? Moreover, air travel is fraught with erratic flight schedules, frequent delays or cancellations, extended hours on the runway, moving carts, announcements and more. Even in business class, circumstances are certainly not conducive to getting the restful seven or eight hours of sleep we need. And, all passengers traveling through more than one time zone will have to grapple with jet lag - the interruption of the body’s circadian rhythms, which is likely to take several days to overcome. The question that naturally comes up for business travelers is – what can be done to improve sleep? Some will self-medicate - the sleep aid business (which largely consists of sleeping pills) is growing, as sleep eludes more and more people. But many people feel uncomfortable with that solution, as there are numerous risks involved, some of them magnified when taken in the context of air travel. Sleep medications don't work for everyone, and even for those who do fall asleep, the quality of that sleep, and the sense of drowsiness that accompanies hypnotic use is often less than optimal. Fortunately, in recent years, tech provides some innovative solutions for those who need to travel and sleep. One thing that flyers would want to do is to filter out as much background noise as possible, and for that there are numerous devices and apps that produce white noise, which users listen to via earphones. Scientists describe white noise as noise whose amplitude is constant throughout the audible frequency range, successfully masking background sound, reducing sleep disruptions, maintaining continuous sleep. A known sleep promoter is relaxation. Passengers can download a variety of meditation apps and programs that are designed to help calm their minds. In fact, several airlines offer audio and video channels as well as downloadable apps designed to help passengers relax using meditation and other relaxation techniques. It should be noted, however, that research shows that meditation helps with relaxation only after some practice – but since many people have trouble unwinding and transitioning into sleep even when they aren't flying, using technology to learn how to meditate properly and regularly might be a good idea even when not flying. Tech can help sleep directly as well. There are dozens of devices on the market that assess and monitor sleep; these systems will record heart and respiratory rates, body movement, daytime activity levels, and use these data to predict sleep quantity and quality. Some devices even make suggestions, like making your room cooler, reducing screen time, and recommend cutting out late-in-the-day coffee, ideal exercise times, or when to eat a lighter dinner. The theory behind these systems is that by acquiring regular and healthy habits, you can achieve a better night's sleep. And, achieving better sleep habits can even help with beating jet lag, and in times of stress and frequent business travel. Whether in-person or online, modern business requires many of us to put in extra, or irregular, hours. By achieving better sleep habits, we can not only maintain our health – but we can also perform better in our business dealings.